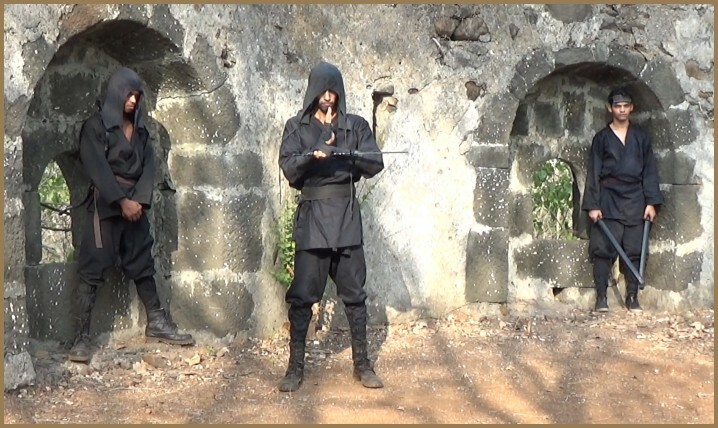 Evasions - Ninja Methods of Evading Attack.... FREE ONLINE NINJA TRAINING; Free Ninja Training and Online Ninja Training - Learn Ninjutsu under a Ninja Master of the Gyokku Ninja Clan. Many secret ninja techniques are taught on this site. Greetings, honored members of the Gyokku Clan. Here begins your Intermediate Level Genin Training. All that we have done before are mere basics - training designed to prepare your body and mind to learn the true methods of attack and defense that constitute the training of the Ninja Combat Infiltrator. And not only this - NEVER forget, my deshi, that the Way of the Ninja is not merely an art of physical combat and stealth attack. 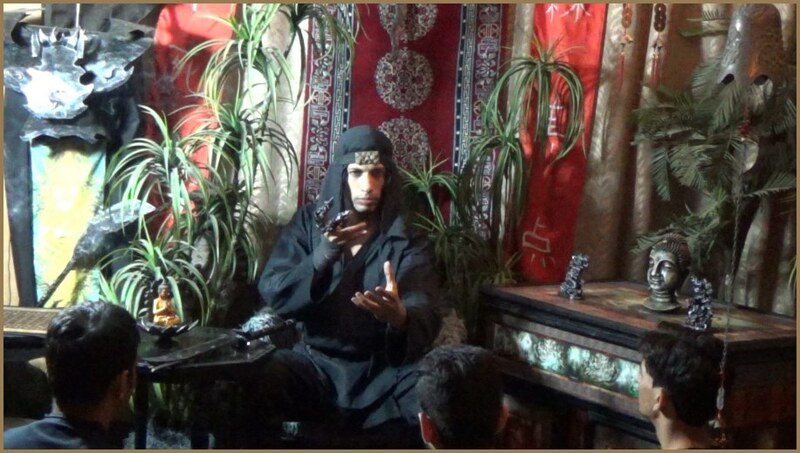 Ninjutsu is an art of mind and spirit as well as of body - as you progress in learning the Way, you will be introduced to new ways of thinking, of seeing the world and the universe, and you will be introduced to new ways of looking into the minds and motivations of the people around you. The universe is INTERACTION, my students. How you interact within yourself (for your mind represents a universe in itself), with the people around you, with the universe at large - this is what defines you as ninja, as a being who is not merely a warrior, but an advanced consciousness. Well, my brothers and sisters, enough of philosophy for now. Many of you are not here to hear us speak of ancient ideas. Those of you who ARE interested must contact the masters and TELL us that you are interested. And if you do so, we shall teach you more of the ancient philosophies and meditations of the ninja. Meanwhile, you are here to learn the ways of combat. So we shall do so. Here we begin to learn EVASIONS. Training in these techniques is to be done with a soft rubber knife, or something that simulates it, such as a rolled up newspaper. 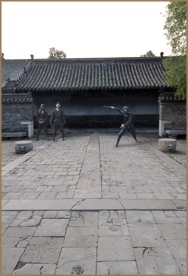 The ninja in the videos is executing the techniques against a short sword SOLELY for purposes of demonstration. 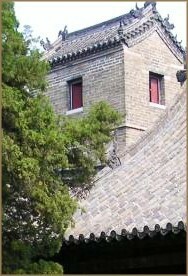 You must not train outside a Gyokku Ninja Dojo against a live, sharp blade. Train safely. Live longer. In this training session, you leave behind the basic training and move to Intermediate Genin Training. The first techniques you will learn here are Combat Evasions. Here you will learn the basics of avoiding an enemy's weapon in melee combat. While many combat-oriented martial arts emphasize blocking an opponent's attack, ninjutsu uses evasions to remove the body from the line of attack. This is NOT to say that a ninja will not use blocks - of course he will. However, a ninja combat infiltrator quickly becomes adept at using evasions in the course of his training. 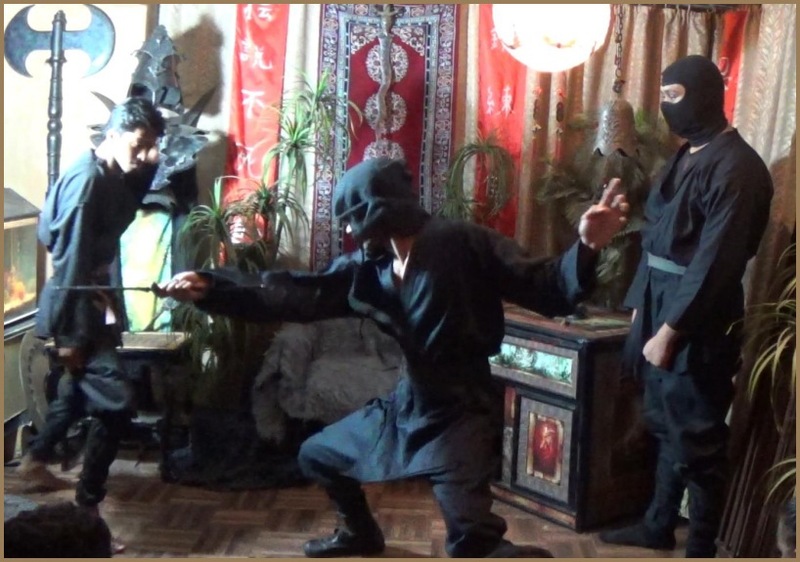 A ninja is adept at not only using evasions against empty hand attacks, but also in knife fighting, where the ability to evade an enemy's attack can spell the difference between life... and death. I want you to study each evasion carefully, and practice all of them again and again every day until you can execute the physical movements flawlessly. Next week we will teach you how to train your body to move faster than most other humans, so that your evasions can become extremely effective. There is no better principle of combat than to be expert at damaging your enemy WHILE ALSO being expert at avoiding taking damage from that enemy. This simple principle is one of the keys to combat victory. There are four basic evasions. Practice these well. Your aim is to learn to do these evasions smoothly in the course of the next week. Once you have mastered the basics of moving correctly, you will be taught methods of increasing the speed of your evasions, and of improving them by enhancing your sphere of awareness. If you have questions or would like assistance with your training, you may contact the masters of the Gyokku Ninja using the form below. You can also use this form to sign up for the Gyokku Ninja newsletter - if you do so, you will be informed whenever any new training or ninja tutorial is available.